Growing up, Brenda was forbidden to ride motorcycles, or have friends who rode. Her passion as a child was water skiing and to this day she still loves it. Brenda currently lives on the water and owns a ski boat. Brenda was in her 30’s when she was first exposed to motorcycles. She met her second husband who had them his whole life and she was hooked! 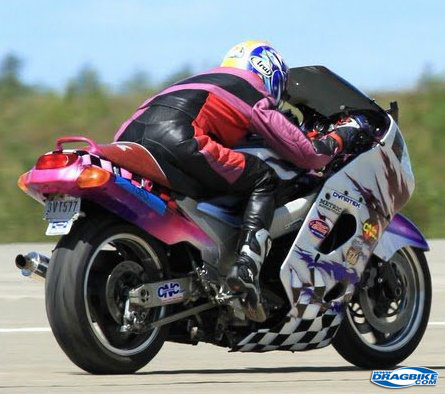 In 2009 she bought a used ZX-11 that turned out to be a record-setting land speed bike! She got in contact with the original owner, Doug Meyer, and met him at the Texas Mile along with a group of the best racers in the world. 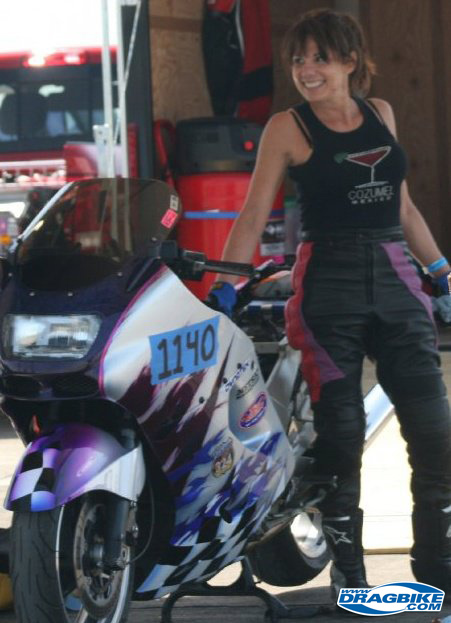 She wanted to race more than just land speed events, so she started going to races at her local drag strip. The passion of motorcycles and racing can be caught at any age! Brenda’s husband of 23 years was killed in a motorcycle accident last July. Surprisingly he never actually saw her race. However, he was her support system at home and helped work on her bikes. He taught her how to ride and was the first person she had ever really known who owned a motorcycle. History of bikes & classes: Mostly riding land speed bikes. Sponsors: The land speed bike is owned by Larry Forstal. 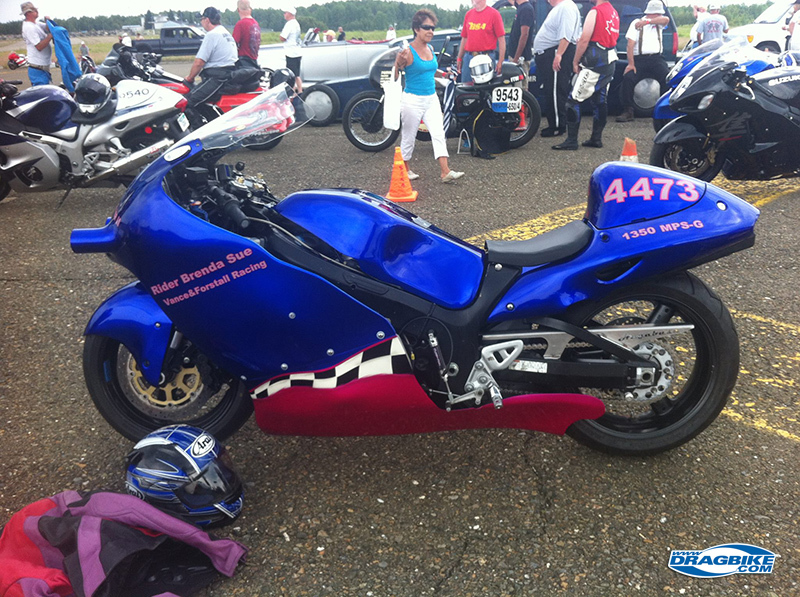 It’s a custom build bike for her to try to go 250 MPH. Her current records were obtained racing on Fred Vance’s bike with Vance Forstal Racing. Special Recognitions: Brenda is in the Bonneville 200 MPH club and currently has the fastest normally aspirated motorcycle on pavement with a top speed of 234 in the mile and 239.6 in the mile and a half. These records were set in April 2015 at the Mojave Mile Magnum. Goals: She wants to race fast bikes forever! Favorite Quote: If you can turn, you’re not going fast enough.